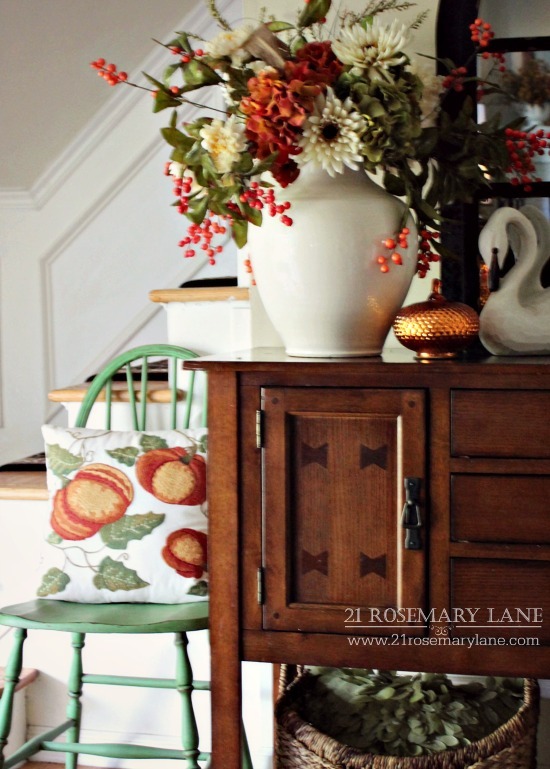 Good Morning and Welcome to 21 Rosemary Lane's Fall Tour 2016! 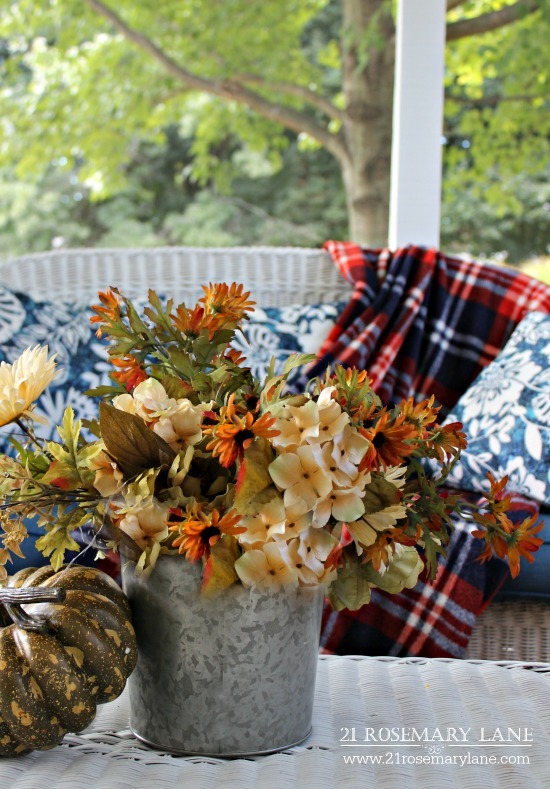 I want to start by thanking our fabulous hostess, Marty from A Stroll thru Life , for putting together this amazing Fall Home Tour series, and once again inviting my little corner of the blogoshere to be part of the big event! This year I made a few changes, or additions, to my decor in an effort to switch things ups a bit. 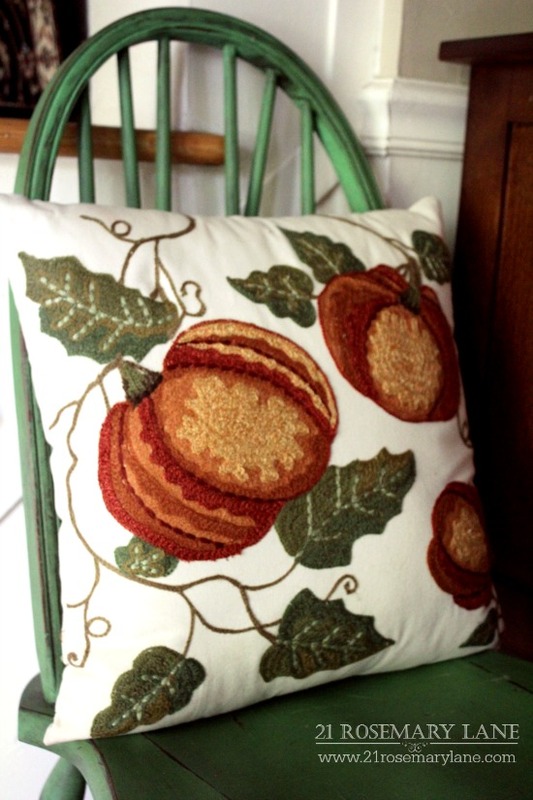 One of my favorite purchases this season was added to our entry in the way of a darling pumpkin pillow I nabbed from Pier One. I also picked up a few more pillows from Home Goods to add to my living room sofas. 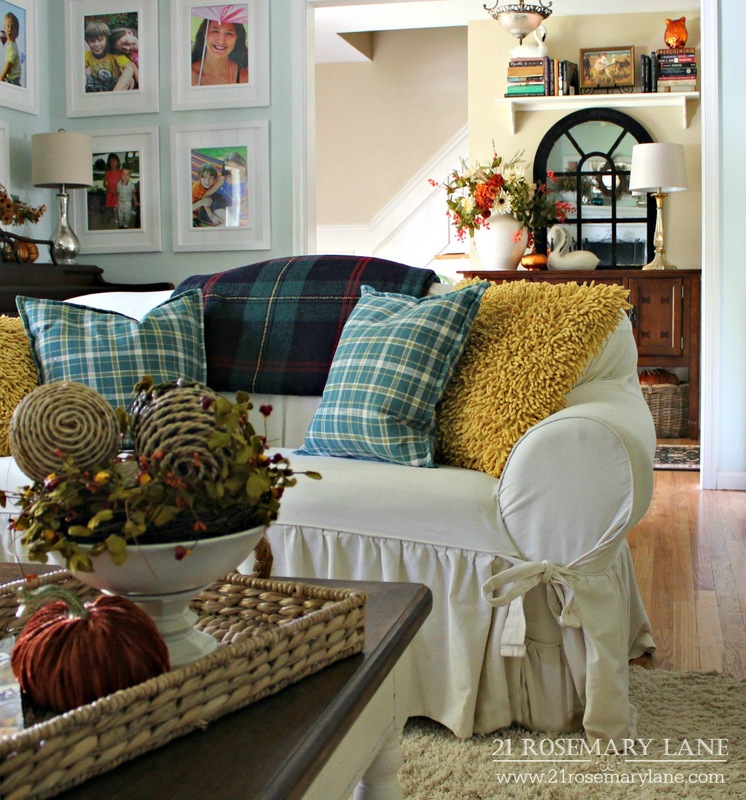 I love the cozy plaid for the autumn season. 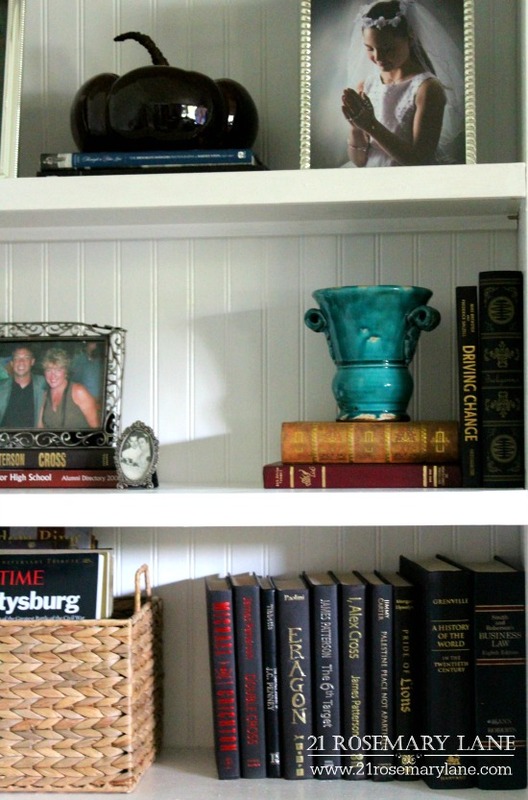 If you are a regular reader of 21 Rosemary Lane, you may notice a slight change to our book shelves. The stencil is gone and has been replaced with some leftover bead board from last year's kitchen project. 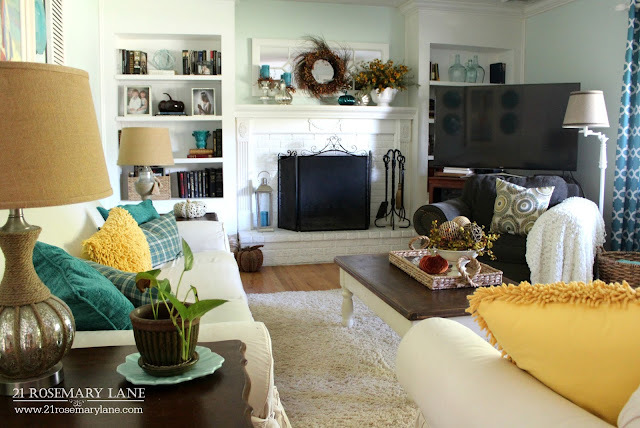 I finished my mantel last week, however with the addition of the new pillows and a few other items, I decided to change the accent colors by swapping out the rich orange pieces and replacing them with a cool turquoise. 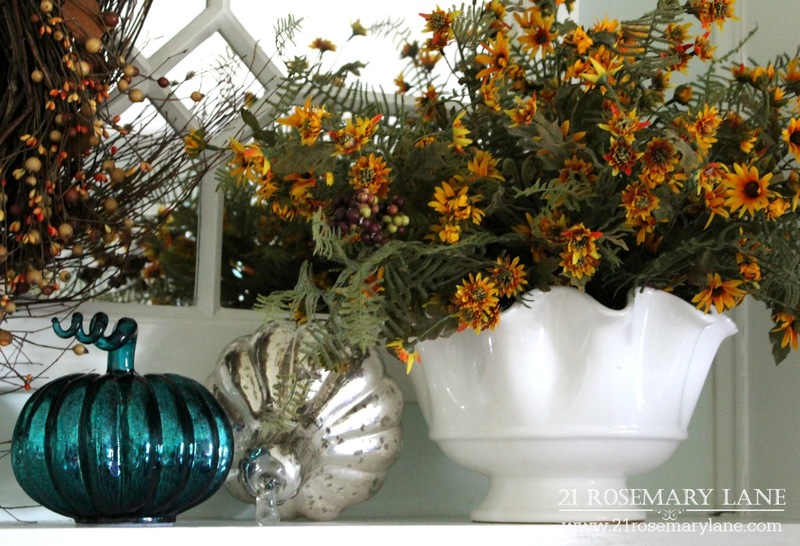 I think the blue color is a pretty compliment to the oranges and yellows on the mantel. 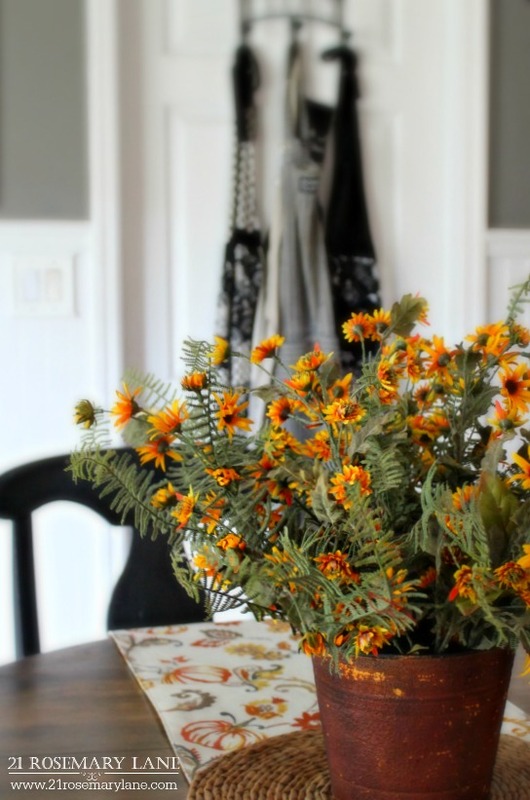 Pops of yellow and orange have been added to the kitchen. 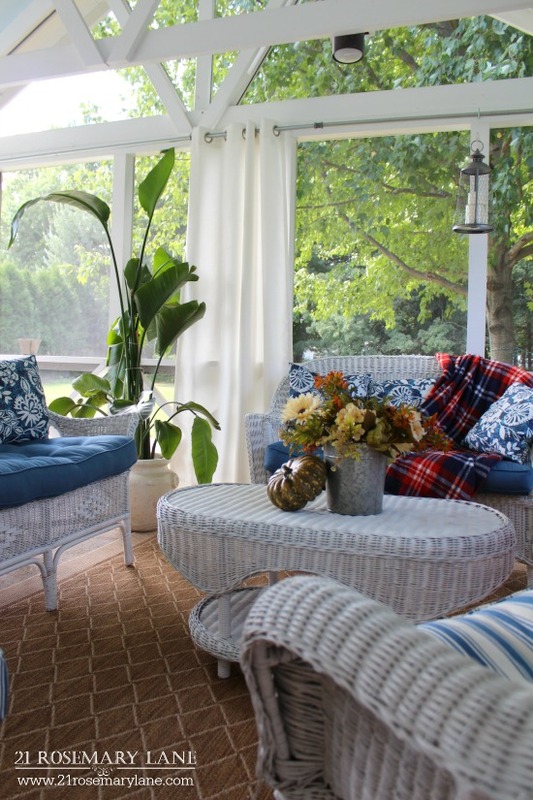 After which a relaxing afternoon of chit chat can be spent in the porch's comfy sitting area. 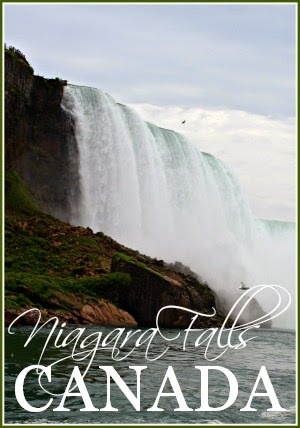 Ahhh I can just feel that cooler Canadian air in the breeze. 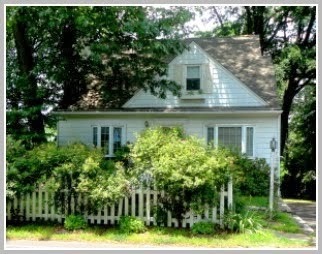 I hope you enjoyed today's tour of 21 Rosemary Lane. 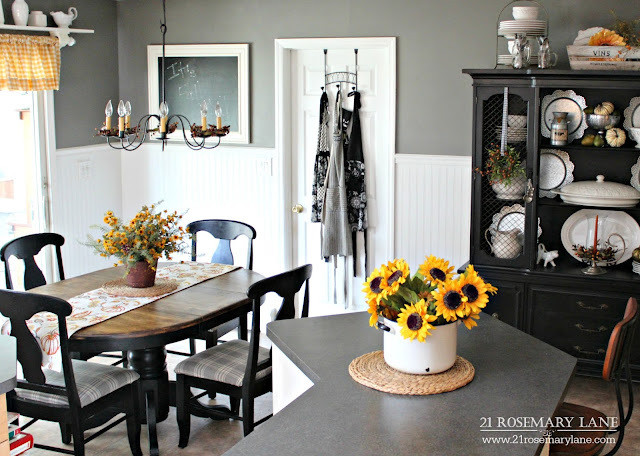 And the tours continue with the next home on the route for the day which is by Laura from the blog Decor to Adore. Thank you so much for stopping by...I just love having the company. 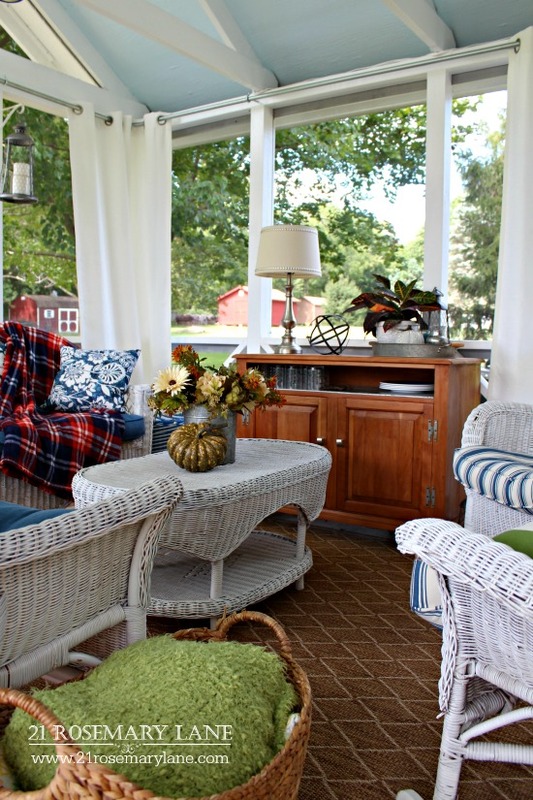 I love, love, love your pops of turquoise and yellow, so pretty and your porch is one of my favorites. I would be sitting there all day. Such a beautiful tour. Barbara I adore all your touches of plaid and turquoise! What a delight your tour was. 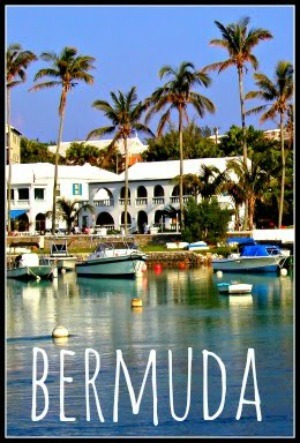 Barbara, this is Pamela from BeColorful and now from Be Colorful Coastal too. :D I am happy to be back blogging again and hope to reconnect with some of my past faves. I enjoyed seeing your lovely pictures here. I especially liked that fun Autumn accent pillow and seeing how you were able to play the golds and vermillion against your blues. This is something I am struggling with in our new home. 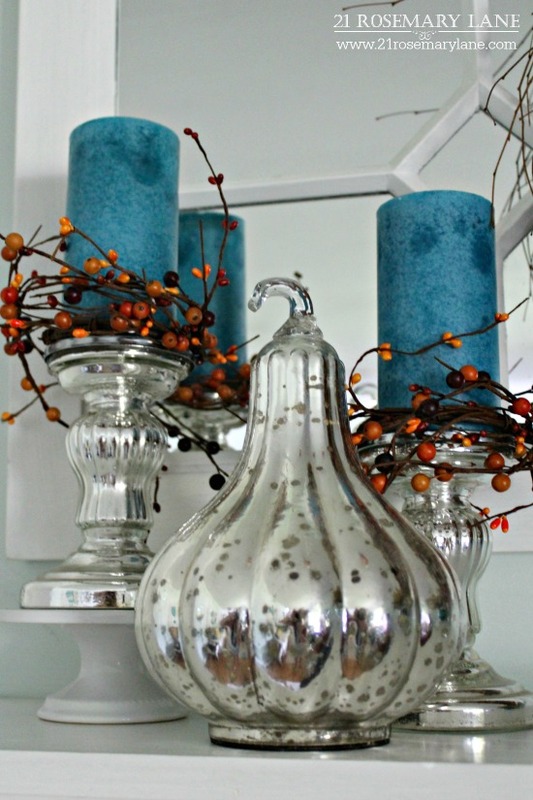 Blue is a new bird for me and so is the idea of introducing seasonal decor in a warmer climate. Your ideas have given me some food for thought. Thank you. 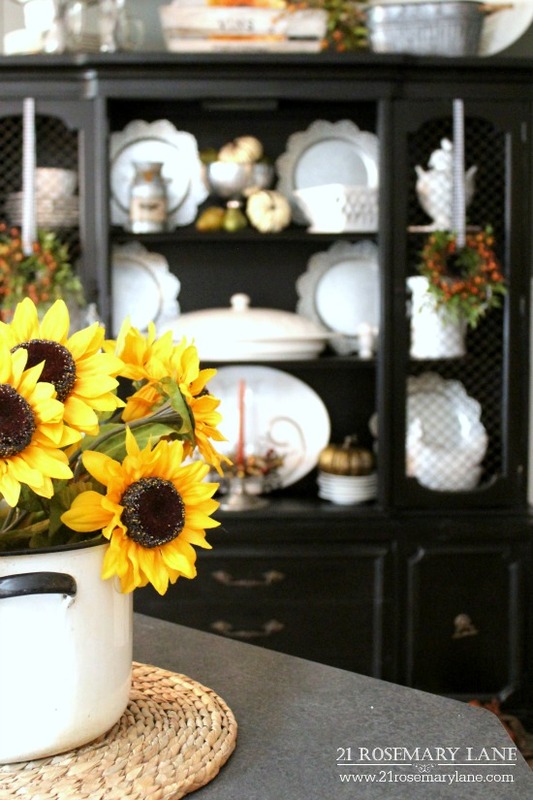 Your home is just filled with tons of inspiration Barbara! I love how you mixed in the blues, which is unexpected for Fall, into all the rich Fall colors, it just works! Beautiful tour! So honored to share this Fall tour with you! 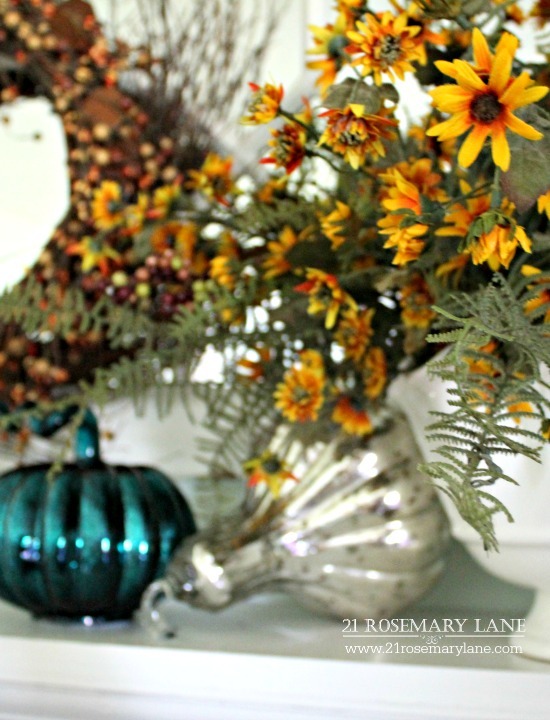 I love how you added teal with the traditional colors of fall! So striking! Your home is so~o~inviting, dear friend! 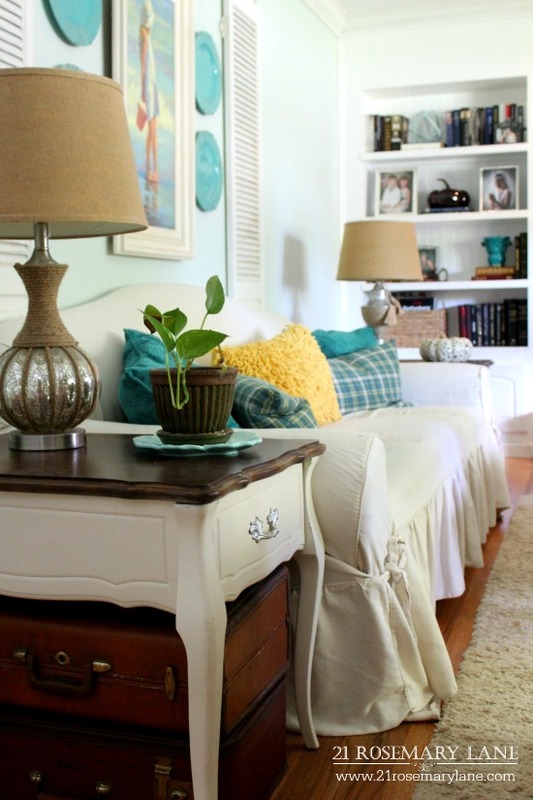 I adore the PoPs of Aqua with your Traditional color palette! The pillows combined with your mantel spreads your accent pieces nicely throughout your living room! 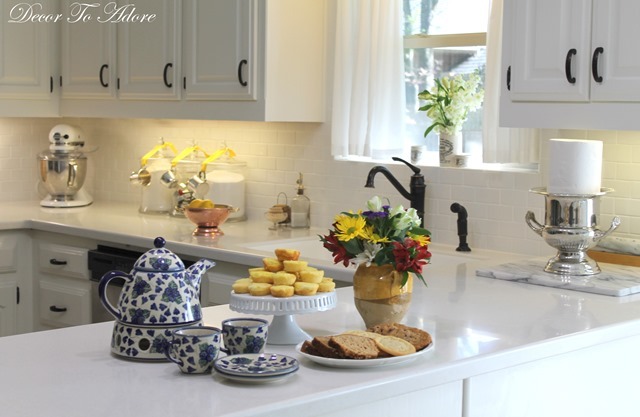 I adore the golden hues added in your Kitchen! 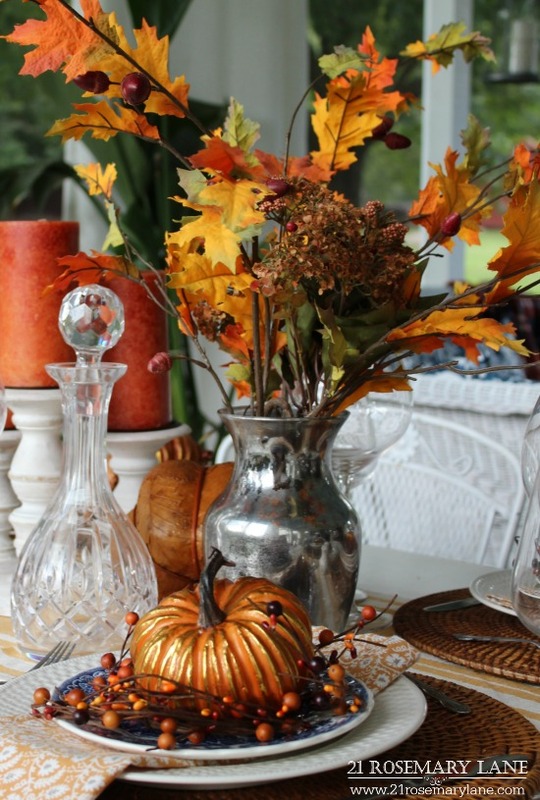 Autumn Home Tour 2016 is a festive event,indeed! 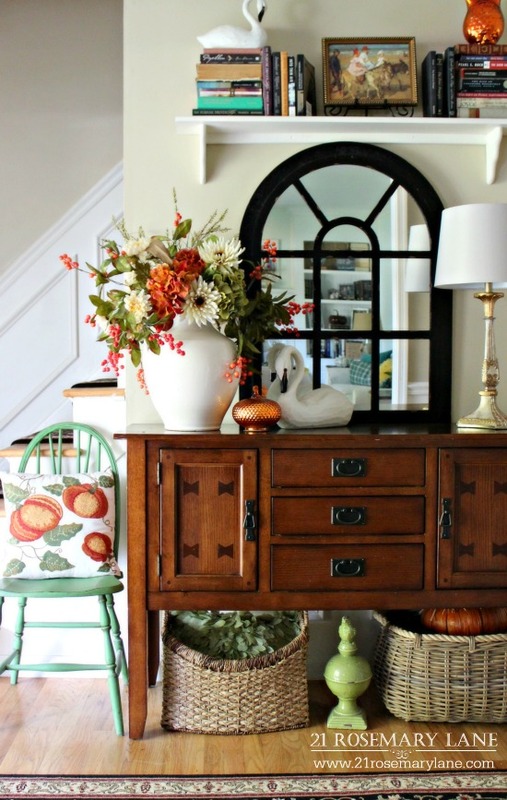 Love all your beautiful vignettes for fall. Your home is pretty and so cozy. Love that you added the teal to the colors. Very pretty. I love your addition od the teal. 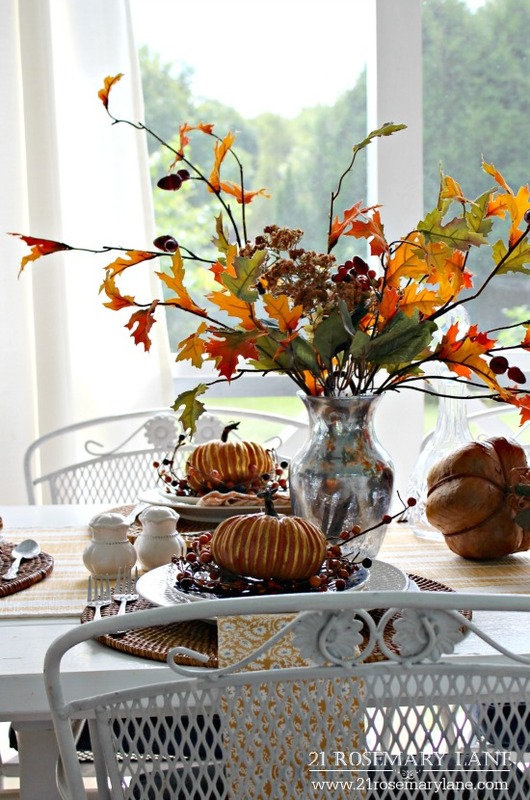 As you know I collect blue and white and LOVE to add the oranges of Fall. Your teal looks fabulous. ADORE the porch. Great tour!!! Lots of thoughtful decor. A tranquil and sophisticated look! 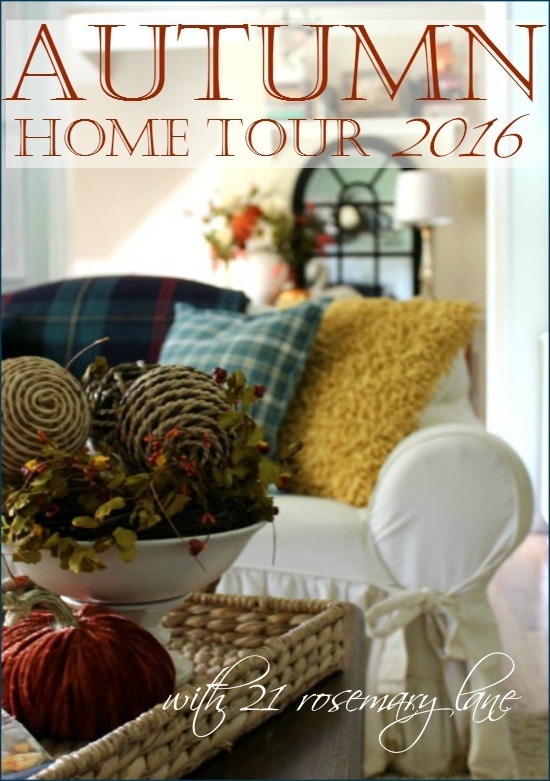 Not sure if I will ever make it through all of the home tours! Thanks for the tour Barbara, your home is lovely and looks so comfy and inviting! Everything is just right to east into fall and cooler temps...hurry cooler temps! Barbara- your home always evokes such a warmth and cozy feeling. your outside porch is an amazing place. Im sure you get alot of enjoyable moments out there. What a great tour, Barbara! Everything feels so warm and inviting! 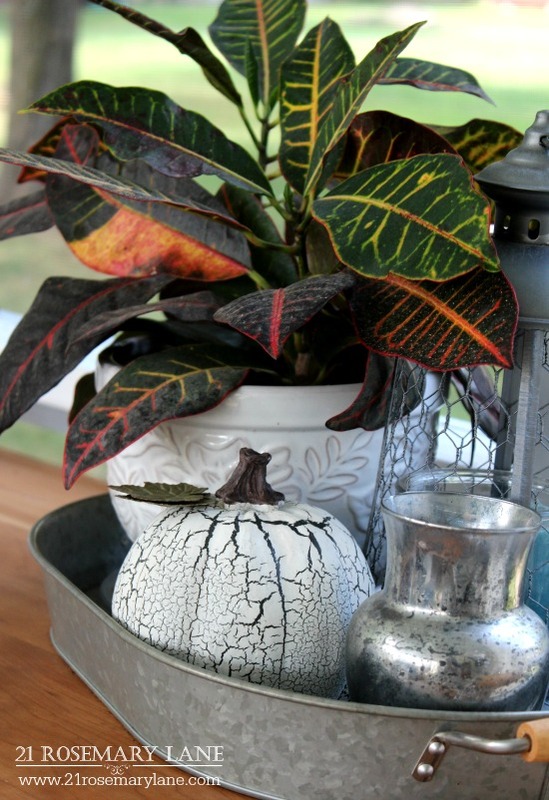 Your fall accents are perfect, as always! Loved the tour! A surprise at every turn! Thanks for taking us on the tour...your home looks outstanding. 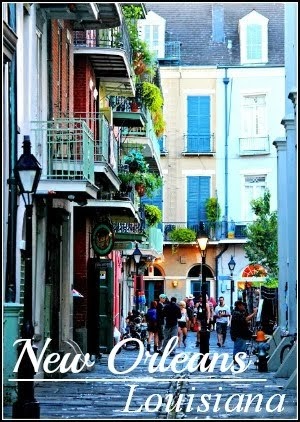 Beautiful photos and home! That turquoise looks perfect! Thanks for such a fun tour! What a beautiful home. I adore the aqua with the yellow and hints of orange. An unusual combination of colours but it really works! LOVE it! What a beautiful home tour! I am a new visitor to your blog, and I will definitely be back. Thank you! Barbara, You have decorated to perfection! Such a beautiful home!! Love your turquoise candles and mercury glass with orange. 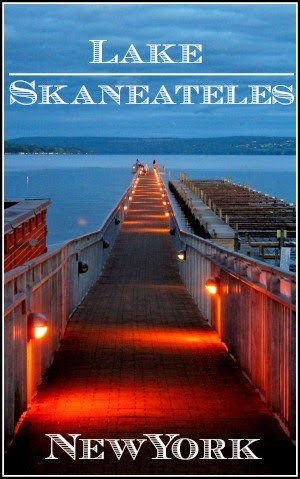 I had to post on my FB page cause I just loved the combination.Hope you don't mind. Lovely home tour, I love how warm it feels! Everything is beautiful, Barbara! I always love seeing your fabulous porch. 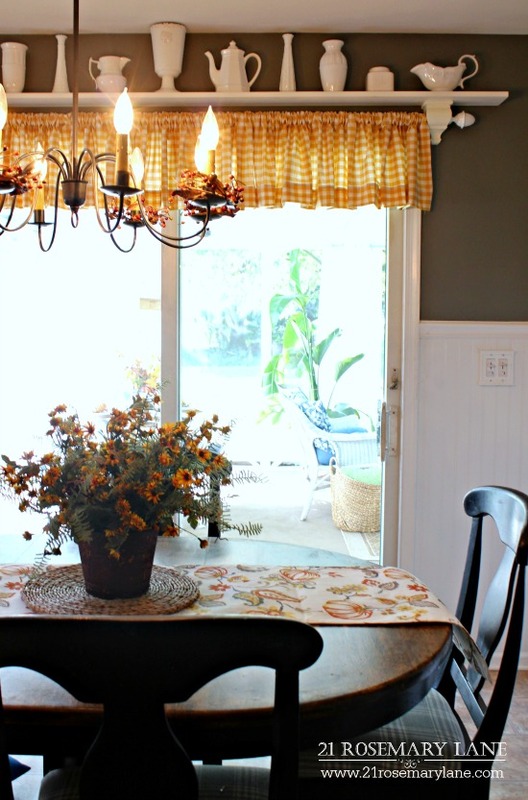 Barbara, your home is gorgeous with its fall attire, but that entry is outstanding! 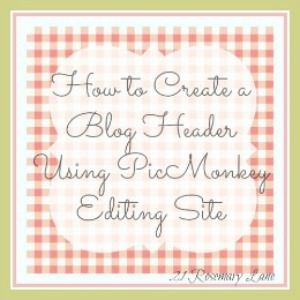 Just popped in from a well-deserved sighting of it on Kathryn's Make it Pretty Monday! Happy Fall. What a stunning tour of your house. I am completely in love with it. I have shared the link of your post on my LinkedIn and Facebook accounts because it is so lovely. Looking forward for more awesome posts from you.